Ideal for isolating heater systems. 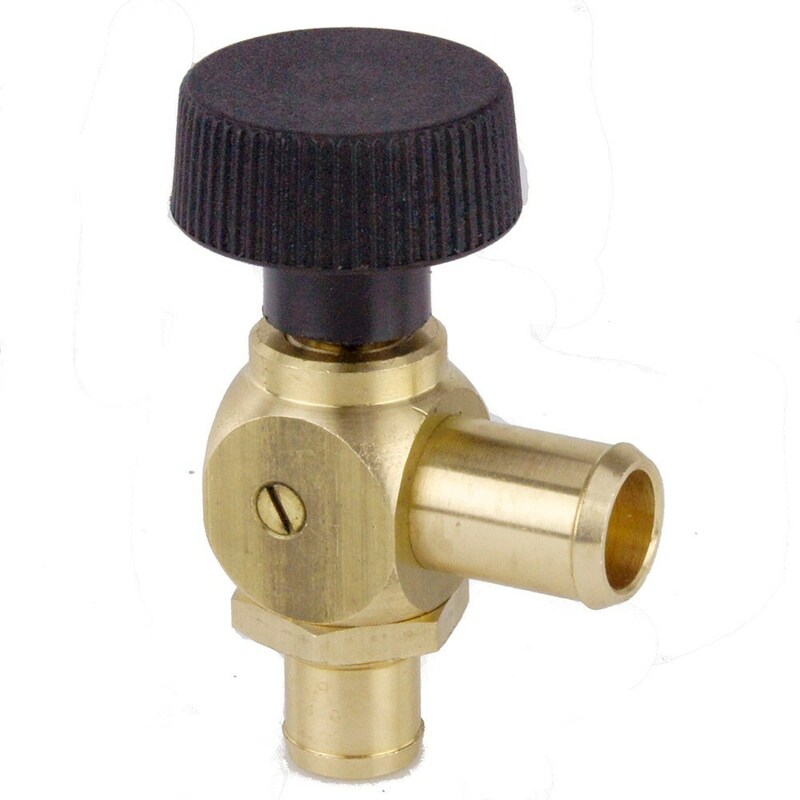 Very nice free-flowing valve for water, air or vacuum. Fully open to fully closed with just a 90º turn of the moulded ABS knob. Barbed 16mm side port and 14mm bottom port. Can be mounted through a 17mm hole in a panel up to 3mm thick with 22mm hex brass nut. Ideal for bleeding air from heater systems. Suitable For Fuel,Oil and Coolant. Suitable for Fuel, Oil and Water. 3/8 unf Female/Female in-line connector for 3/16 copper or copper/nickel. 3/8 unf male/Male in-line connector for 3/16 copper or copper/nickel. Fits up to 56mm column. Built in Hazard switch and warning lights. Fan blade can be reversed from push to pull. Fits all our Cooling Fans, Fan7-Fan16. Fits into a 76mm (3") hole. Non Vented. 32mm Straight with 15mm take-off. Two 3mm diameter, countersunk mounting holes at 154mm centres.